When I look at agent marketing – both property marketing, and brand advertising – I often despair. Most agents are using exactly the same marketing methods as they did 10, 20 or even 50 years ago. I’m not saying that print advertising doesn’t work, because it can do, very well. So can fliers. But not in the way that most agents are using it. Have you heard the term ‘permission marketing’? Interruption marketing is the opposite of permission marketing. Interruption marketing interrupts our tv watching, our magazine reading, our email checking, and more. Now contrast that to my Supertips emails. Those agents who get my Supertips will tell you they are useful, timely, innovative and creative emails, designed to help you get through more doors and win more instructions. My Supertips emails don’t say: “I’m fantastic”, or “Buy my stuff!”If they did, I’d get you reaching for the unsubscribe button straight away. What I’m doing by being useful in the emails I send out, and not trying to sell you anything, is building a relationship based on trust, over time, in a consistent way. In this way, I earn the right to talk to you about your business down the line when and if you are ready for it. So what are you doing to build your relationships with your future clients, over time, in a systematic way? How are you earning the right to talk to them about their potential property sale, down the line? The marketing systems I teach to estate agents are based entirely on the principles of permission marketing. 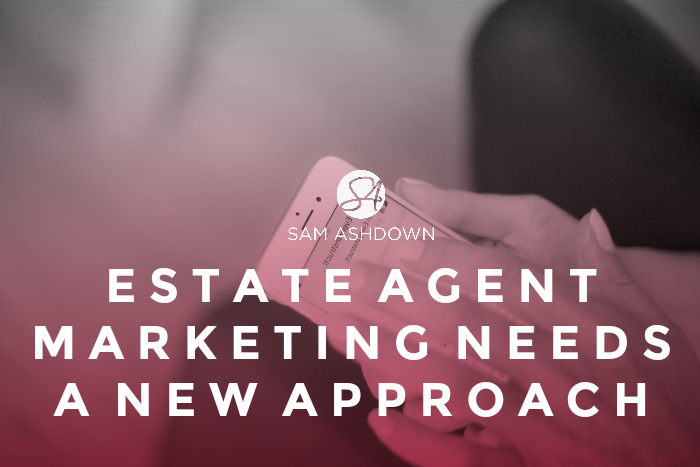 This forms a solid foundation to build a successful relationship with your future clients, that you can then rely on when they come to sell, to ensure you are top of mind, and their favourite agent, even before you step through the door. What to read next: How’s your diary? Previous post How’s your diary? Next post Are your clients a good fit?